Come expand your Cultural Horizon! The International office will be hosting a Cultural Awareness Night on Thursday, October 4, 2018 at 5:30pm in SCC 103. 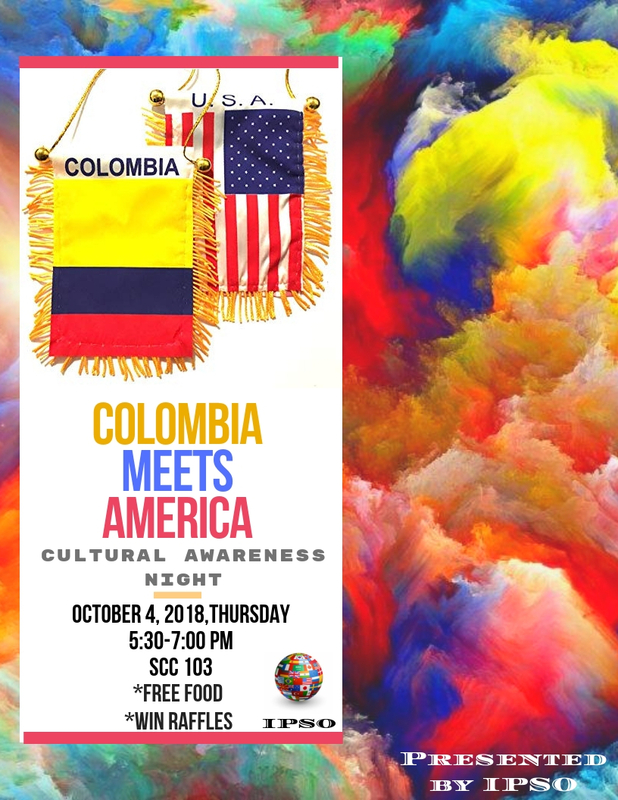 Our presenters, come all the way from Bogotá Colombia from Colegio Internacional Camino a la Cima and will share traditional music, authentic food, and a presentation on the culture. Please encourage students to attend this event. See you there!